Styling your hair can take so much time. So you'll end up having it on a ponytail. Guilty as charged, I always have those times where I will not comb my hair and just tie it around as I go to work. I know moms will agree that this is common to us especially if you have a long hair like mine. It is totally hard work! I can't even explain how dreadful that is! But don't you think every now and then, our hair needs love and styling? Even if we don't go to a formal occasion, I think they still deserved to be styled. 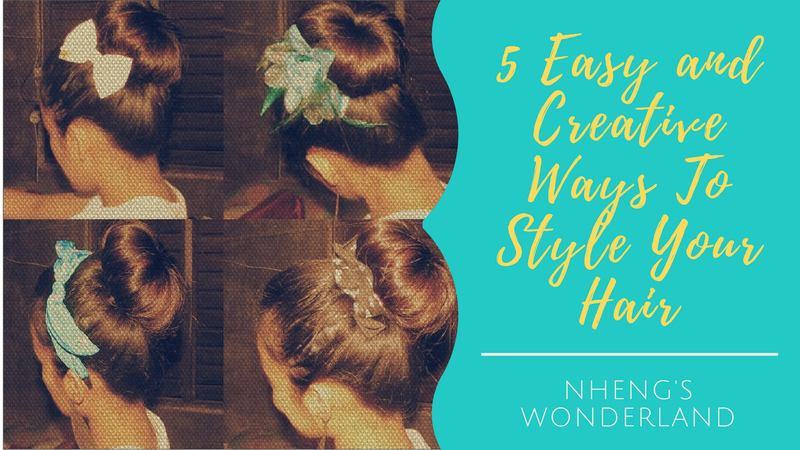 Give your hair these 5 easy and creative ways to style your hair and let me know what you think after this post. Use headband for an easy updo. Probably my most favorite updo of all time is this hairstyle where all you need is a headband. Applicable to long haired and shoulder-length haired gals out there. Look for a stretchable headband for this style. Put it on your head and grab strands that you will roll around the band at the back part of your head. For formal occasions, you can pin hairpins with designs for a more beautiful look but you can also wear this every day. Style your bun with different accessories. 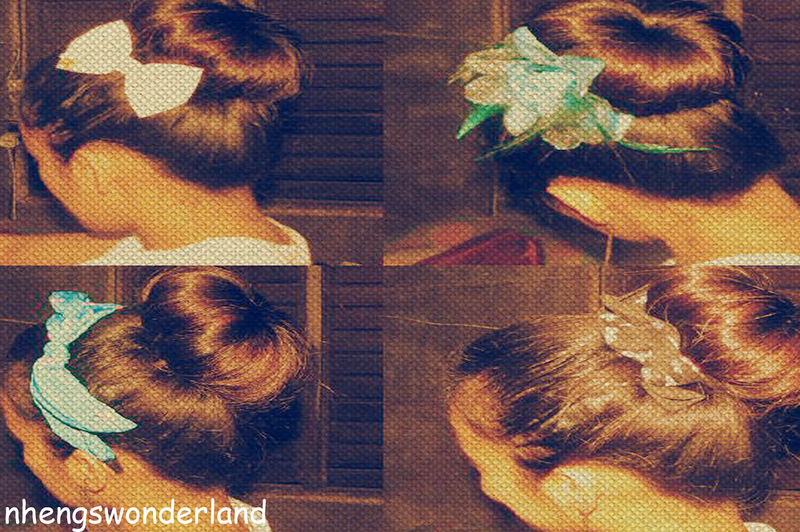 Hair buns can get a little boring. Styling if up is really easy as well as how to do it. Options are limitless on styling a hair bun. A few of this is adding a ribbon, a flower accessory, headband or even a handkerchief. Go ahead and add up accessorise that will fit your personality. 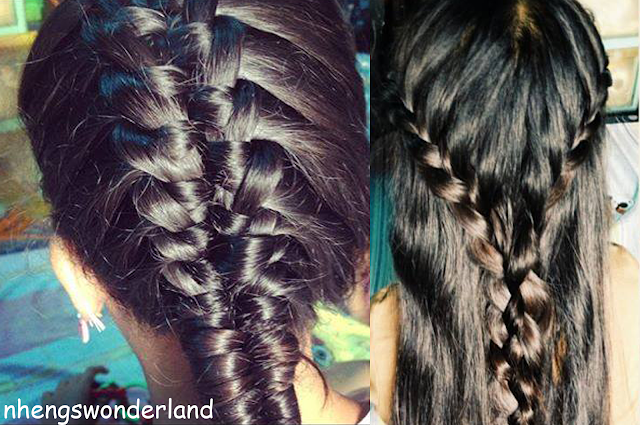 Make easy beautiful braids. Braids are done by knotting three strands of hair together. There are several braids that you can choose from. 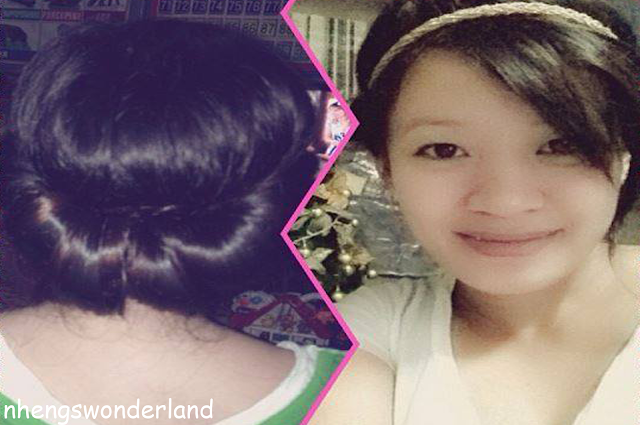 Side braids are easy for long hairs, headband braids for short hairs. Go for something easy, doable and creative! Curl your hair using wipes. Another favorite on this list is creating waves on my hair using wipes. I love that it won't damage my hair from heat. 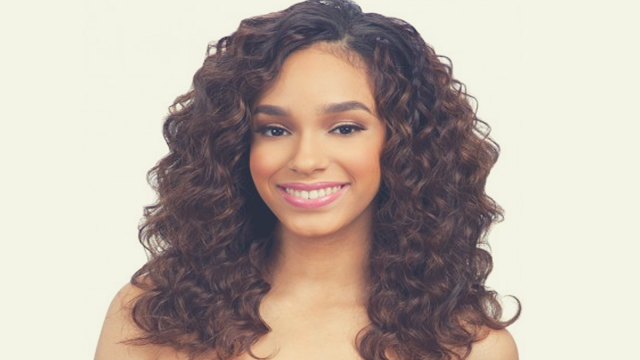 Aside from braids that creates a wavy look overnight, using wet wipes is another option to have volumes on hair. I created a tutorial of no heat curls using baby wipes here. Though I know that this one needs to be done overnight just to have the best result. Add wig to create a different vibe. If all fails? A wig is the best option. If you are not that adventurous enough on cutting your hair short, coloring it blond or daring colors, curling it without damaging, adding volumes to your thin hair, well, fret not because wigs are here to the rescue! For quality wigs, try remy hair from Black Hairspray. They have quality human hair wigs and a huge selection of hair types and colors. Have that blonde bob hair or red curly hair that you've been waiting for. Wear it proud and loud! Check their website for more info. Nevertheless, hair is understandably one of the best assets that we can have. And with the right fashion and attitude, you could rock any hairstyles you desire. I hope I was able to help you with these 5 easy and creative ways on styling your hair. Comment down below if you have other hairstyles that work for you.